Editor's note: An earlier version of this story listed an incorrect title for former General Motors Vice Chairman Bob Lutz. NEW YORK -- General Motors Co. wanted Joel Ewanick so badly that it twice made a run at him -- and only won out after giving in to his biggest demand: autonomy. Ewanick, 49, a veritable rock star in the auto-marketing world, shocked the industry last week when he left Nissan -- where he was vice president of marketing for just five weeks after having left Hyundai Motor America in March -- to become the new vice president of U.S. marketing for GM. It was GM's second, revised offer that lured Ewanick, according to a company executive who spoke on the condition of anonymity. The insider said Ewanick turned down GM's original offer made more than two months ago because he was wary that the bureaucratic corporate structure at GM would inhibit the kind of bold, daring moves he made at Hyundai. “He didn't want to have to go through a half-dozen people to get something done," the GM executive said. "He wanted to be able to get on the phone and call one person and say 'Can I do this, yes or no?' and get a quick answer." Advertising Age is an affiliate of Automotive News. Ewanick will now have a similar independence at GM, where he replaces Susan Docherty and will report solely to North American President Mark Reuss. "He will have that autonomy. 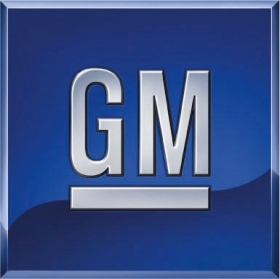 Reuss and [GM CEO Ed] Whitacre make that kind of thing happen now," said Aaron Bragman, automotive research analyst for IHS Global Insight in suburban Detroit. "Even [former Vice Chairman Bob] Lutz started to tear down that layered structure. A lot of the bureaucracy isn't there anymore." In his new post, Ewanick will oversee the Chevrolet, Buick, GMC and Cadillac brands and consumer consideration of GM vehicles in the United States, at a company that was the nation's No. 4 advertiser in 2008 with a $2.9 billion U.S. ad budget, according to Advertising Age's Data Center. Admittedly, though, it is a shadow of its former self: GM's worldwide ad spending plunged to $3.6 billion in 2009 from $5.3 billion in 2008, according to the company's 10-K regulatory filing. A spurned Nissan's only statement on the matter was: "Joel Ewanick, VP-Marketing, Nissan Division, has elected to resign effective May 5 to pursue a new role with General Motors. We wish him the best of luck in his new role. A successor for Joel will be named at a later time." The company declined to state whether it is looking internally, externally or both. "Give GM credit, because they are actively trying to find a way to short-circuit the old system," said John Casesa, who runs the New York-based automotive consultancy Casesa & Co.
"Look, Ed Whitacre is an odd character of sorts," said an automotive recruiter who asked not to be identified. "If there's a talented individual to be had, he's going to go and get him or her. He's the kind of guy who says, 'I want him now, and I don't care about the details.'" In fact, said one person familiar with the company, "GM continued to negotiate with Joel the entire time he was at Nissan." While it wasn't the only sticking point, pay was also a factor. Ewanick wanted to ensure that GM -- continually under public scrutiny following its government bailout -- could fairly compensate him for the breadth of responsibility under the position. Because of the bailout, auto experts said Mr. Ewanick's salary structure is likely in the $750,000 range -- and heavy on stock options, which could prove lucrative if the company goes public in the future. Ewanick's immediate charge will be to bring GM's marketing the same high regard that its design, engineering and distribution teams now enjoy. But while he believes in moving quickly, Ewanick also has a stake in tradition. "My faith in ads has been significantly reinforced this year," Ewanick told Automotive News last October. "The power of the 30-second commercial, if done right, can move mountains." Observers praised the appointment. "The problem with GM marketing is that they were recycling the same people through the chain," said Peter DeLorenzo, a former automotive advertising and marketing executive who runs AutoExtremist.com. "The products are good, but the marketing was the final piece of the puzzle." Marketing may also have been the final straw for Docherty, who will take on a new, still undisclosed post. "Susan has been deeply involved in GM's sales and marketing initiatives," Reuss said in a statement. "With her drive and focus, she has laid the groundwork for solid plans and rejuvenated our agency relationships." The "rejuvenation" included dumping Campbell-Ewald after 88 years last month as agency of record for the Chevrolet brand. The first work from new shop Publicis -- with its "Excellence For All" tagline -- has been widely panned by industry watchers. "They have to start delivering something a little more than, pardon the pun, excellent," Bragman said. But ... ego plays a part in this, too. Can you imagine putting down 'Turned around GM marketing' on your résumé?" Rupal Parekh and Bradley Johnson contributed to this report.